On this page, you will find all there is to know about the Software updates for Story of Seasons: Trio of Towns on Nintendo 3DS (originally released on June 23rd 2016 in Japan, February 28th 2017 in North America, and October 13th 2017 in Europe). NB: since this page was created in October 2017, we’re only listing updates released from that point onwards. 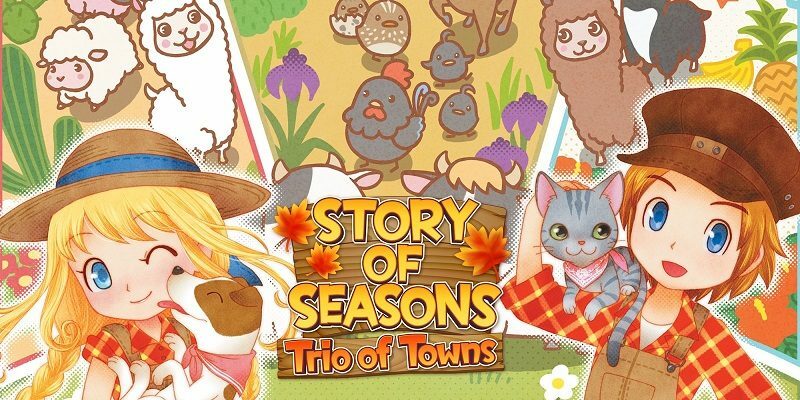 How to download updates for Story of Seasons: Trio of Towns on Nintendo 3DS? Additional notes: this update is required to get the “New Neighbours Pack” DLC. Click here for more details about it!